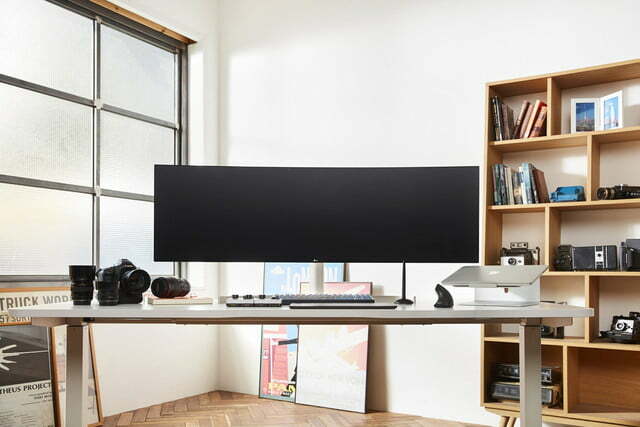 Just before CES 2019, LG is joining the likes of Dell and is announcing a new 49-inch UltraWide monitor. 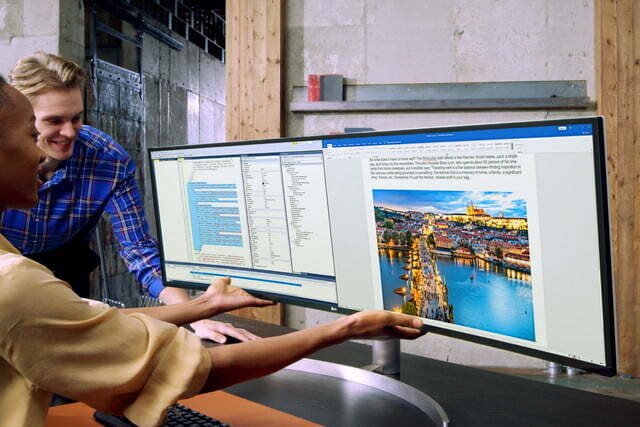 Promising to boost productivity for any task, the monitor comes equipped with a 32:9 aspect ratio curved screen, that can replace your traditional multi-monitor setup. Outside of its impressive aspect ratio, LG’s new 49-inch UltraWide monitor is packing 5,120 x 2,160 resolution. With support for playing HDR10 for content in video games and movies, the monitor looks to produce accurate and crisp images, coming packed with 99 percent of the sRGB color space and 350 nits of brightness. Elsewhere, and in order to take advantage of all that screen real estate, it comes with support for a picture-in-picture mode, allowing consumers to view more content from multiple sources side by side. 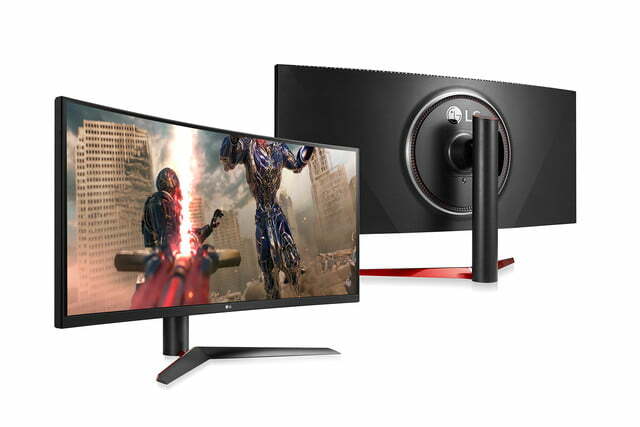 Similar to the software bundled onboard the Dell 49-inch Dual QHD curved monitor, LG’s 49-inch UltraWide monitor comes with Dual Controller Software, which allows for several devices to connect to the monitor with a single keyboard and mouse. Its connectivity also permits pairing with laptops or computers, coming with 1 USB-C port, 2 HDMI ports, 1 Display Port, and 4 USB 3.0 ports. 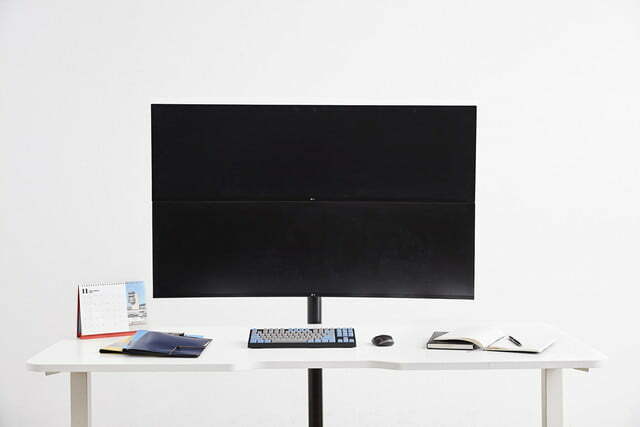 In terms of design, the monitor is held up by a slim metal stand that can be tilted and swiveled from anywhere from 5 to 15 degrees, and that remains relatively low profile with a height of 4.3 inches. “LG is consistently bringing advanced monitors to market, packed with features and functions specifically for different consumer segments … With a wide choice of models that prioritize productivity, picture quality, and out-of-this-world gaming, more and more consumers are seeing LG as an innovation leader in monitors,” explains Jang Ik-hwan, head of LG’s IT division of the Home Entertainment Company. Alongside the 49-inch UltraWide monitor, LG is also announcing a 38-inch curved UltraGear Gaming Monitor. It supports Nvidia Gsync and a 144Hz refresh rate for fast and fluid gaming without screen tearing. With a 3,840 x 1,600 resolution, virtually borderless design, 450 nits of brightness, and 98 percent coverage of the DCI-P3 color gamut, the new option is likely to entice gamers in an already crowded gaming monitor market. Unique features like Sphere Lighting for up to six different color settings on the rear of the monitor also look to make it stand out. Pricing and availability on these monitors has not been made available, but expect to hear more about them during CES, which runs from January 8 to 11.